1889, a year after the Jack the Ripper murders, and Scotland Yard has established a dedicated murder squad. One of its members, Inspector Little, has been found murdered, bound-up in a trunk at Euston Station. The newest member of the squad, Inspector Day, is given the task of solving the case. Recently promoted and just having just arrived from Devon, Day is keen to prove himself. He’s aided in the investigation by Dr Kingsley, who has taken it upon himself to establish a forensically-led morgue, Inspector Blacker, and Constable Hammersmith. Between them they start to gather clues, but then another murder is committed, a bearded man who has been shaved before having his throat cut, and a second policeman killed. As they come under increasing pressure to bring the perpetrator to justice, the killer starts to interfere in the investigation, seeking to persuade Day to give up his pursuit. 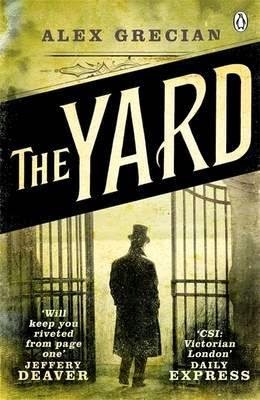 The Yard is a curious kind of crime novel. From near the start the identity of the killer is made clear, as is the reason for the crime, as is the process of investigation. 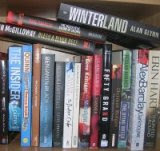 The story is then not a whodunit, whydunit or howdunit. Indeed, there is really no mystery to the tale at all, much of the historical detail is dubious or inaccurate, and the villain is no Jack the Ripper or Moriarty, making the work for the police relatively easy. Instead the narrative is propelled along by a mix of breezy writing, colourful scenes, and some interesting characters and their interplay, the pages turning mainly to see if it is resolved as it inevitably should be. Inspectors Day and Blacker, Constable Hammersmith and Dr Kingsley are all engaging characters, each with a certain vulnerability but determined to solve the case, though the villain and lesser characters, such as the two whores who appear throughout, are more caricature in nature. Given its various flaws, The Yard, is a book I would ordinarily find somewhat annoying, but in this case actually enjoyed - kind of like the low-brow movie you know you should dislike, but watch and like regardless. Overall, then, a flawed but enjoyable tale of murder in Victorian London.